Missing your time abroad? 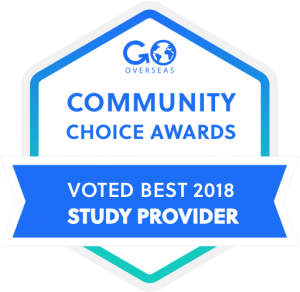 Or feel like you need to share your experience with others so they can experience the joys of study abroad themselves? All USAC alumni are eligible for a grant of up to $500 to offset the cost of food, supplies, event space, transportation, etc. 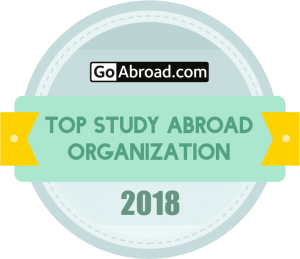 associated with a presentation, event, or project that allows more students to learn about study abroad and USAC programs, the resources available, and the lessons gained. What’s possible with the $500? If you are interested in applying for an Alumni Grant, you may do so here. Daniel Lang studied abroad in Shanghai, China in summer 2017. 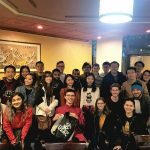 He recently used the alumni grant to host an educational dinner at a local Chinese restaurant to share his experience with other alumni and students interested in studying abroad in China. 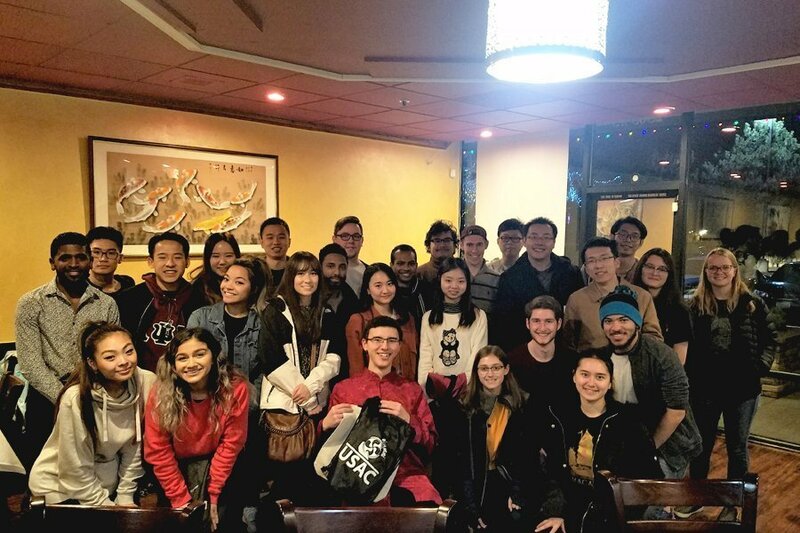 For a dinner reunion and experience sharing culture, 34 student guests came together at 2-D Wok, a popular Taiwanese restaurant in Reno, Nev. Daniel Lang, senior in the Honors Program at the University of Nevada, Reno, organized and funded the dinner on the night of Friday, Nov. 30, 2018, through the University Studies Abroad Consortium (USAC) Alumni Grant. Daniel is an alumnus of the Shanghai, China program, summer 2017. Zhang Zhu, a Chinese graduate student, worked with USAC engineering students such as Daniel’s roommate in Shanghai. Dinner attendees John Hammill and Dan Barnes, who experienced the Shanghai program this past summer, met many of Daniel’s close friends. Guests ranged from both alumni of USAC China study abroad programs and students interested in China to exchange students from China. Daniel created this event after participating this past summer with the U.S. Department of State Critical Language Scholarship Program in Xi’an, China. After spending a year sharing his experiences, he sought to create a space for others to share theirs. At the dinner, USAC alumni included those from both Chengdu and Shanghai programs within the last two years. 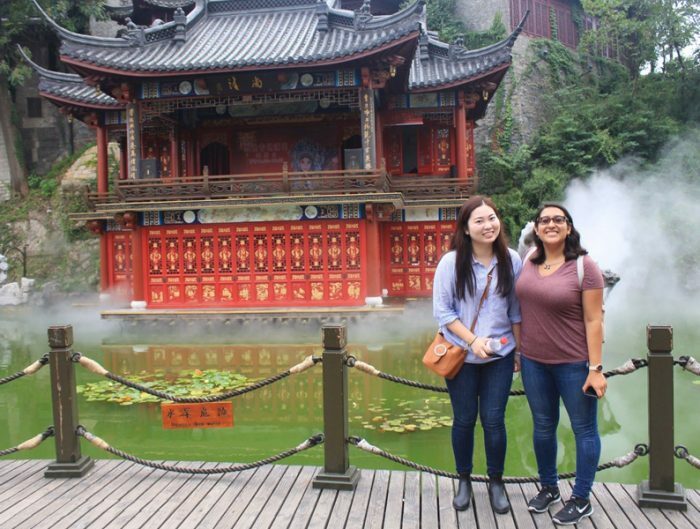 “It was nice to meet people from China and other people who have studied in China,” said Jennette Cozad, a junior minoring in Chinese studies and alumnus to the Shanghai program, fall 2017. 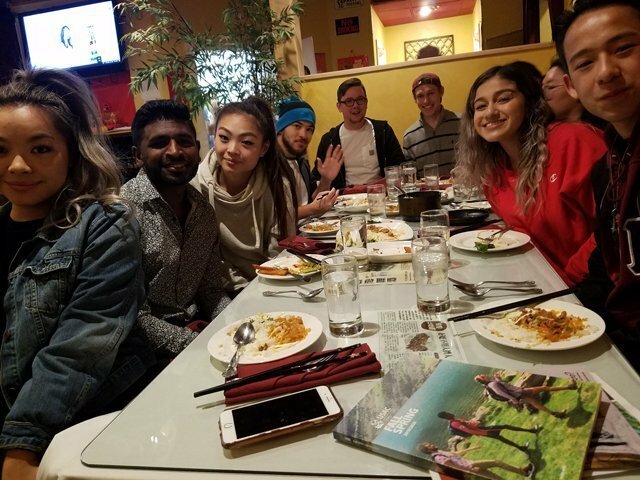 “I thought it was fun!” Jessica Wu, a senior who experienced the Chengdu program, summer 2017, says friends she brought to the dinner are excited to go to China thanks to the event. At the dinner, guests enjoyed a variety of dishes, served in traditional Chinese family-style. Afterward followed a trivia game. Whether they were exchange students or first-years just beginning to study Chinese, all were welcome to participate! Winners brought home water bottles, luggage tags, stickers and pens, as gifts from USAC. Finally, guests took a commemorative photo. 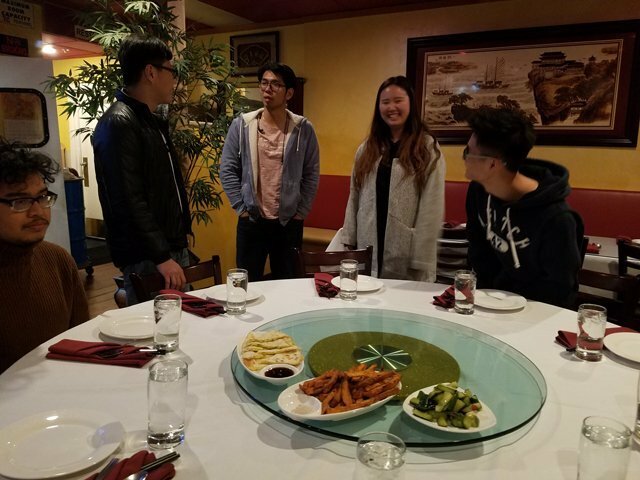 “I met some nice friends and had a delicious meal,” said Gawing Chen, an exchange student from the Chinese Students and Scholars Association. 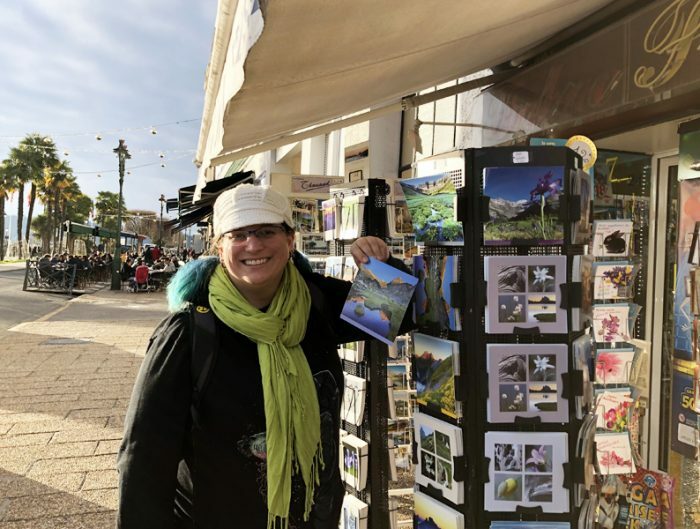 “We shared about our exchange programs and cultures, which broadened my horizons and let me think about the meaning of studying abroad.” Daniel’s sister Vana Lang, an Honors freshman, asked about options in China, where she hopes to study international business. Daniel feels grateful for the experience USAC provides through its alumni grant and hopes others take advantage of its opportunities. In December, Daniel traveled to Taipei, Taiwan, to conduct research in Chinese for his Honors undergraduate thesis. After graduating this May, Daniel has accepted an invitation to teach English as a Peace Corps Volunteer in Mongolia. He hopes afterward to travel to Jilin, China and serve with the Maryknoll China Teachers Program. 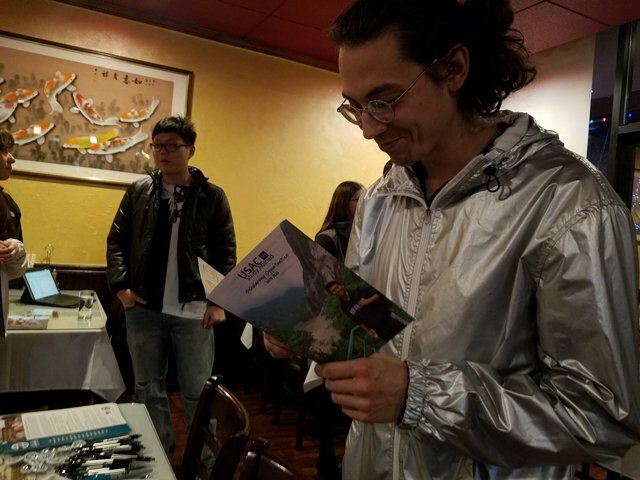 Connecting people and learning Chinese, Daniel aspires to continue through graduate school in China. 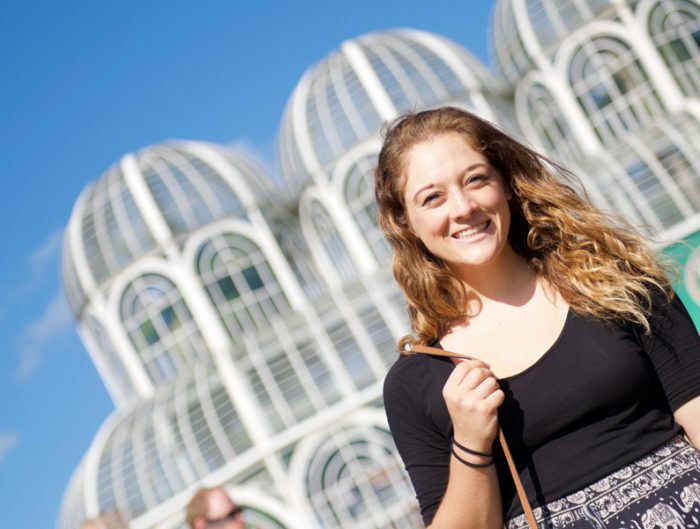 USAC alumni can apply for an Alumni Grant of up to $500 to fund presentations, events, or projects that spread the word about study abroad and the lessons learned! Potential uses of the grant include attending a Lessons from Abroad returnee conference, hosting a USAC alumni reflection event to share your stories and experiences with prospective students while enjoying international food, or expanding on a Benjamin A. Gilman follow-on service project. You can learn more about the Alumni Grant and access the application here.